Tuesday brought another momentous decision from a federal judge in the Hillary Clinton email case, and it’s not even the same judge who ordered the State Department to quit stalling the release of her emails. This time it’s U.S. District Judge Emmet G. Sullivan, who is presiding over the Judicial Watch lawsuit for records pertaining to the unusual work arrangement for top Clinton aide Huma Abedin. Abedin was permitted to collect paychecks from both the State Department and Clinton-linked private employers under a policy meant to allow indispensable private-sector talent to work for the government without losing their jobs. Sullivan suggested this might include a subpoena for Clinton and Abedin to return all records from their clintonmail.com accounts, not just the emails they personally decided were “work-related.” That would be an interesting request, since Clinton has long maintained she deleted everything that wasn’t “work-related” — meaning that, unless FBI technicians have been successful at recovering them, about half her emails have been atomized. 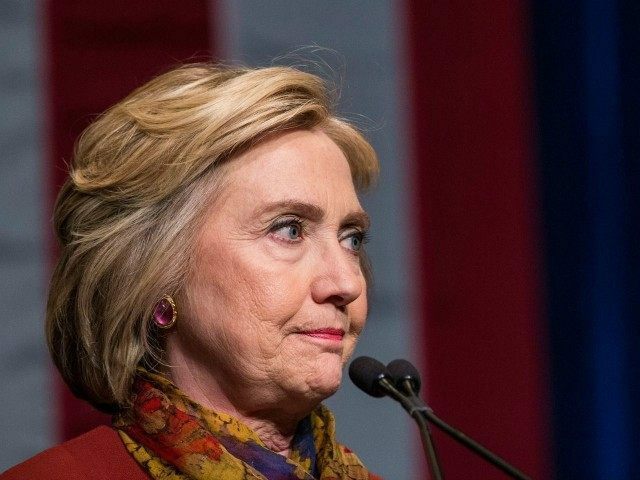 It is noted that Judicial Watch has not asked to depose Hillary Clinton herself in the case, but the list includes a number of familiar names from the email scandal, including Abedin, Clinton’s chief of staff Cheryl Mills, Clinton’s lawyer David E. Kendall, and Bryan Pagliano, the staffer from Clinton’s 2008 presidential campaign who helped set up her email server. Pagliano has already invoked the Fifth Amendment to avoid answering questions from Congress. By this he means that Clinton’s secret server rather obviously functioned as a shield against the Freedom of Information Act. That’s not a matter of opinion, it’s what actually happened. The reason Clinton’s server became an issue in this case is that the State Department originally declared itself fully compliant with the FOIA request — and then Clinton’s mail server was discovered, likely containing even more responsive records. The Post notes there are over fifty active Freedom of Information Act lawsuits tied into Clinton’s secret server. The State Department’s response makes a mockery of the Freedom of Information Act, as they argue the government is only responsible for disclosing records it knows about, so government officials can hide anything they want by doing what Hillary Clinton did. “Federal employees routinely manage their email and ‘self-select’ their work-related messages when they, quite permissibly, designate and delete personal emails from their government email accounts,” said the State Department filing. And if they just happen to “self-select” only the records they want the public to see, while “designating” everything they want to conceal for storage in a private server, which remains hidden until years after they leave office — well, shucks, there’s nothing anyone can do about it. The Hill notes Fitton’s determination to learn “why the State Department and Mrs. Clinton, even despite receiving numerous FOIA requests, kept the record system secret for years,” citing the public’s “right to know.” Judge Sullivan spoke of the same right from the bench. Hillary Clinton says the public has no such right and will know only what she chooses to disclose when she feels like disclosing it — which, until she was caught red-handed, meant never. The Obama administration could appeal Judge Sullivan’s order, and even if discovery proceeds, the case will almost certainly continue well beyond Election Day, so Clinton’s cloudy definition of “transparency” may yet prevail.